The Chaotian Temple in Beigang was built in 1694 and is more than 290 years old. It used to be called Tianfei Temple or Tianhou Temple. 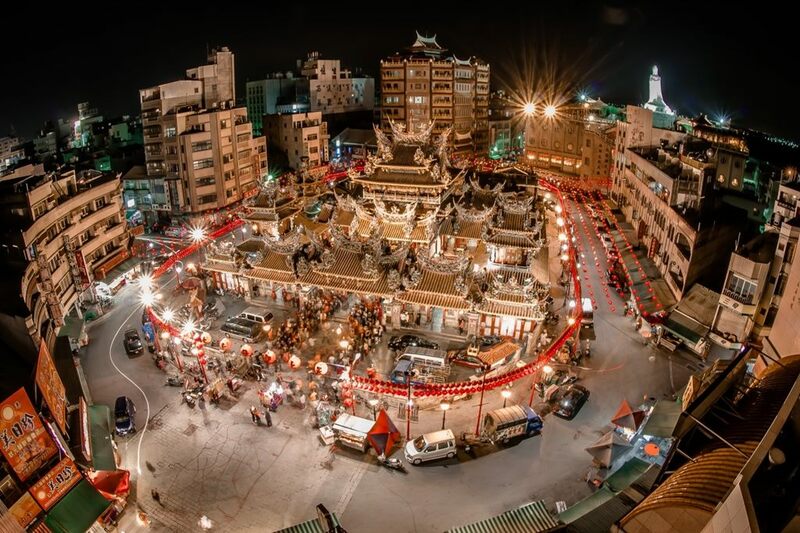 In order to commemorate Mazu Temple (Chaotian Building) in Meizhou of China, it was thus re-named as Chaotian Temple. Because of the wide-spread reputation, Chaotian Temple has become the head temple for more than 300 Taiwan temples worshipping Mazu (the Goddess).The temple is grand and beautiful. The temple is for worship of Tianshang Shengmu, Guanshiyin Buddha and spirits like Qianliyan (the spirit who can see very far) and Shunfeng’er (the Spirit who can hear very far). The poles and beams and wood carving are accomplished by famous artists. The four stone dragon sculptures forming the four poles outside the temple are majestic and lively. There is a traditional well in the form of arch web. The excellent craftsmanship is shown everywhere, from the facial expression of figures on windows to the grand dragon poles. It is indeed a classic combination of religion and arts. Many people come to Chaotian Temple in Beigang for worshiping all year round. The greatest worship festival is on Chinese lunar new year to March of lunar year. Around the birthday of Mazu (March 19th of lunar year), many religious people and affiliated temples head toward Beigang for celebration. The scale of the activity is grand and there is parade in Beigang. The place is filled with sound of traditional Chinese instruments playing and many people. The parade is the highlight of celebration activities for Mazu. At the time, the whole Beigang is submerged in the religious atmosphere.